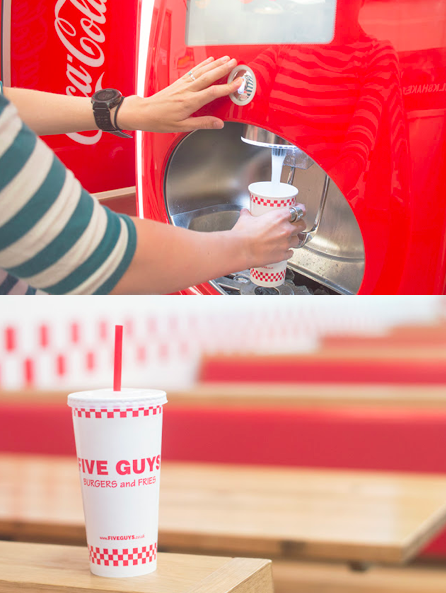 We were delighted to be invited* to try out the vegan friendly fries and drinks at Five Guys, Dundee. 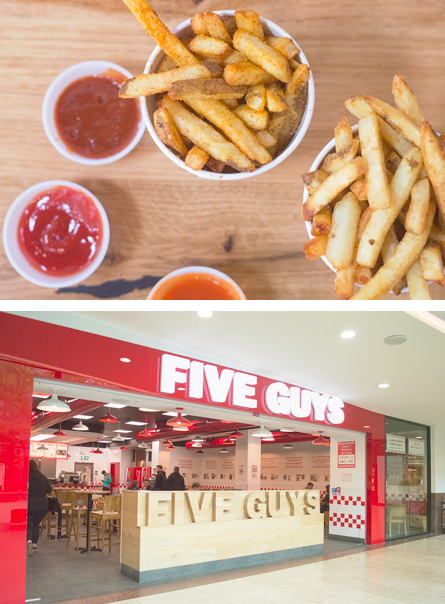 Located in the Overgate Shopping Centre, it was the perfect opportunity for a catch up and a little shopping fuelled by a large portion of salty and Cajun fries. 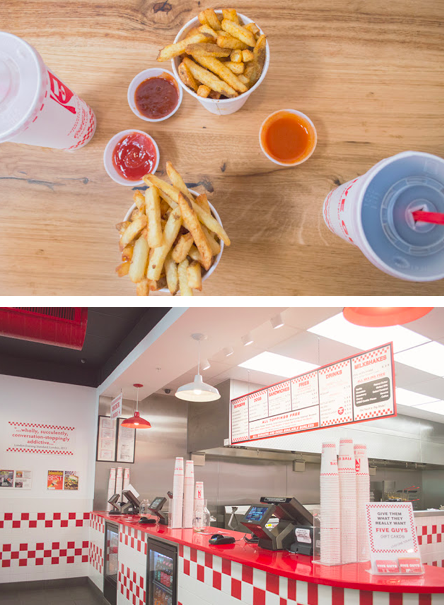 Neither of us had eaten at Five Guys before, they don’t have full vegan meals available so it wasn’t on our list of places to visit. However, the massive portions were full of flavour and we really enjoyed trying to eat them all. 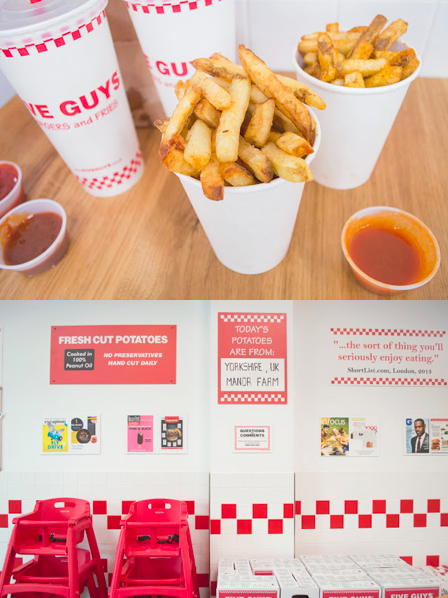 The fries are all hand cut and cooked in peanut oil, they also let you know in store where ‘today’s potatoes are from’. Jilly opted for classic salted while I went for Cajun- I prefer a bit of spice!! We were also given free refill drinks cups so tried some soft drinks. We were given a few sauces to try which were vegan too, I loved the barbecue sauce, it was perfect with the Cajun fries and tomato ketchup is always a winner! 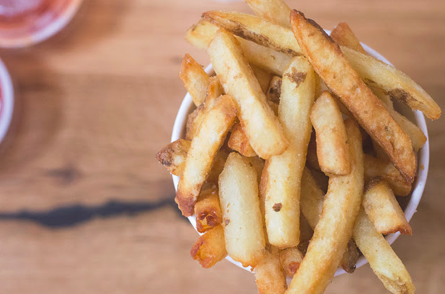 We ended up sitting down for a good hour, my little vegan was napping, and we had a great afternoon chatting, the fries eventually went cold but they tasted just as good! Although we were gifted this meal, the fries would have cost £5.25 for a large portion and they were MASSIVE it was £3.15 for a drink cup which is a bit expensive but it is free-refills which is great. If you are looking for somewhere to fuel up on carbs then this is the place for you. 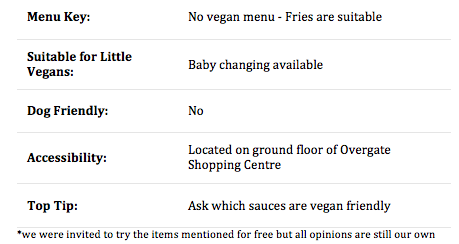 However, with so many places adding vegan options to their menus It would be great to see some more vegan options here.